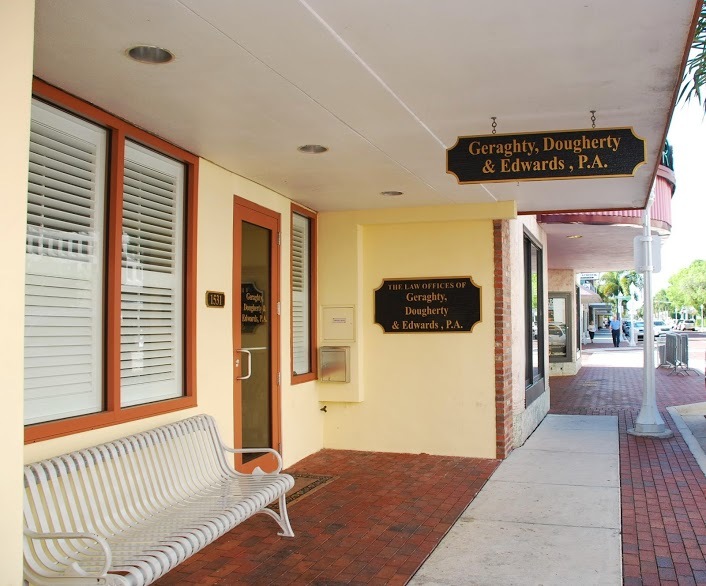 Real Estate Litigation | Geraghty, Dougherty & Stockman, P.A. Inherent in these sometimes complex transactions are individuals willing to try and take advantage of others or not honor their side of the agreement. At Geraghty, Dougherty & Stockman we take pleasure in helping those individuals who find themselves in these tough situations. Our attorneys are well-equipped to handle a wide variety of legal issues involving real estate and welcome an opportunity to help guide you through them.